The 45 ACP came out in 1904, and although it wasn't used for seven years, it was finally placed in the new, semiautomatic handgun, the M1911 from colt and used by the United States' Army. This round went on to be one of the most popular rounds in America, due to its use in the M1911, as well as its reputation for stopping power, reliability, and damage. 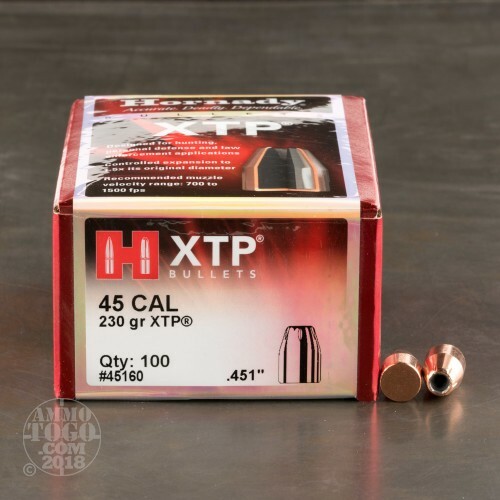 When you buy ammo or bullets from Hornady, you expect only the best ammo. Founded out of a need for quality ammunition after World War Two, Hornady has never ceased in their mission to manufacture innovative, high quality ammo. 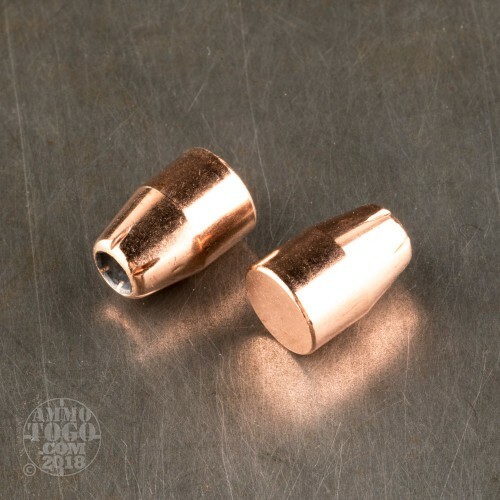 With these 230 grain bullets from Hornady, you have some of the most reliable, accurate, and dependable self defense bullets in the world. 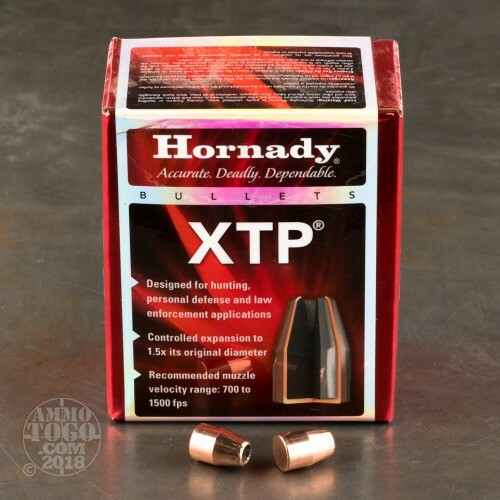 Due to their exquisite design, Hornady's XTP bullets feature high accuracy, maximum terminal expansion, supreme weight retention, and phenomenal stopping power, making it one of the best self defense bullets on the market. These are great bullets. I use them in 45, 40 and .357. They are easy to load and always consistent. I will be buying them again.